Actor and politician, John Dumelo has joined the bandwagon rooting for the legalisation of marijuana in Ghana. 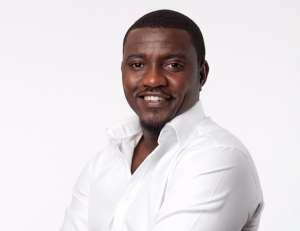 Speaking on Cooks and Braggarts, a cooking show hosted Yvonne Okoro, Mr. Dumelo said the country can benefit more from the medicinal advantages of Marijuana after it is legalised. “When you go to some of the western countries, it [Marijuana] has been legalised for health purposes and we can also do same,” he stated. Some interest groups, including the Rastafari Council of Ghana, in years past have suggested, the country could control effectively the recreational use of the weed by decriminalising it. Other groups also suggested, addressing the use of Marijuana through criminal justice institutions, ultimately infringes on various fundamental rights of people who use drugs, including the rights to health, information, personal autonomy, and self-determination. However, the Mental Health Authority in 2016 did not budge in their argument against the legalisation of Marijuana saying, it poses a severe threat to the mental health of people who use it. “If you take Marijuana in your teens when the brain is actively developing, you interfere with your ability to be motivated adequately and to judge adequately,” the Chief Executive Officer of the authority, Dr. Akwasi Osei said. Expressing his thoughts on how the recreational use of the drug could be controlled, the entrepreneur said authorities in Ghana can do research of their own and later put up structures needed to prevent the abuse of the drug after it has been legalised. He explained Cannada put those structures in place after legalising marijuana in October 2018. The entrepreneur stated, many people think the legalisation of marijuana will increase high crime rates and mental illnesses as a result of the recreational use of the drug but that is not true. “If you look at places like Holland, California and Colorado where the drug has been legalised crime rates are low,” he added.